Two days after it opened, and on the day Giles Coren in the Times labelled it the best new launch in London for at least a decade, and possibly the best restaurant in the city bar none, and therefore the finest in the entire country, and thus the entire world, I had lunch today at Dinner by Heston, Heston Blumenthal’s new restaurant at the Mandarin Oriental. The food was very good indeed, but I think Giles has got a little overexcited about this one. I think it’s a muddled launch, with loads of – and I’ll be frank – claptrap about the food’s historical origins cluttering the menu and confusing the issue. The food is modern in execution and design, its debt to history often small to the point of irrelevance. When a member of staff asked for our feedback, I asked him precisely what from the original dish remained in my main course – a 72-hour slow-cooked short rib of Angus known as Beef Royal (c.1720), which had apparently been borrowed from something in a book called Royal Cookery, written by Patrick Lamb in 1716. I was told that this was when the method of braising meat became popular. That’s it. Frankly, I think you’d have had a job chasing Heston away from his water bath even before he discovered Lamb’s oevre. The truth is that the food’s historical background, around which so much of the restaurant’s advance publicity has been based, and which sees every single dish on the menu accompanied by a date of origin in brackets, is usually so minor as to be almost irrelevant. If Heston and his head chef at this new venture, Ashley Palmer-Watts, want to seek inspiration for new dishes in historical cook books, all power to their elbows. But unless you can tell me something genuinely interesting – and a 350-year-old book title is not enough – don’t bother me with it. I would strongly suggest that they either add historical detail to their menu (and I’d make Hawksmoor’s cocktail menu recommended reading in this regard), or they remove all mention of it. This is a pretty trivial complaint that could be easily remedied – a restaurant must in the end by judged by the quality of the food and service, both of which were impeccable – but I can’t be expected to fully embrace a new restaurant which is conceptually pretty seriously flawed. 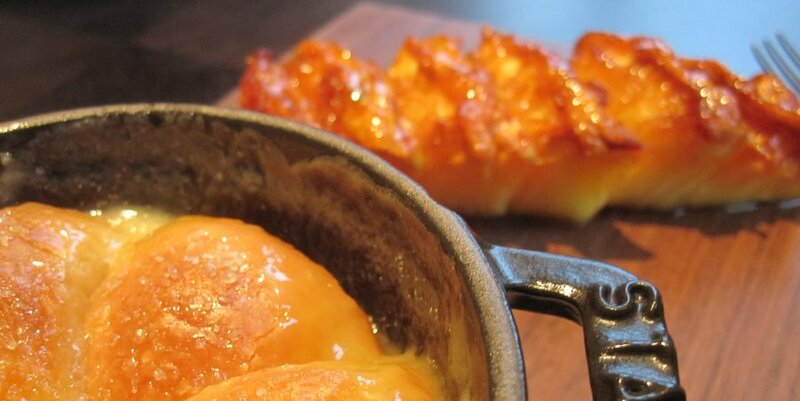 The other thing stopping Dinner by Heston from streaking to the top of my chart kind of goes with the territory. It is tucked inside the Mandarin Oriental, a hotel in plush Knightsbridge, the kind of place that has people to open the outer doors for you, someone else to open the inner door for you and a whole posse of greeters, meeters and point-the-wayers littering the corridors. In between rising from our table and emerging onto the street well over a dozen people said goodbye to us. Of course, this level of staffing does not come cheap – and neither will your stay. At £28 the set lunch (which we rather foolishly ignored) is a good deal, but don’t even dream of drinking. My wife and I each had a glass of wine. The cheapest red wine by the glass was a wallet-busting £9.50 for 125ml. My glass of riesling, only 100ml of it and very pleasant but far from lifechanging, cost £14.50 (plus 12.5% service) and was absolutely nowhere near the most expensive glasses on what is a pretty short list. London’s fine diners might be accustomed to this kind of mark-up but I continue to consider it something of a scandal, and don’t believe that it should pass without mention. And if Heston wants to play the fine dining game, where were the bonus mouthfuls of unexpected loveliness with which we are usually treated? Amuse my ruddy bouche, Heston! Go. Eat. Enjoy. Drink your wine at home, and don’t swallow the history-book fairy tale. This entry was posted in Uncategorized and tagged Dinner by Heston, Eating out, Heston Blumenthal, wine mark-ups. Bookmark the permalink.